Perla del Mar (natural) and Perla del Mar Maduro cigars are handmade at J.C. Newman Cigar Company's PENSA factory in Esteli, Nicaragua. These beautifully constructed, box-pressed "Pearl of the Sea" cigars are given names inspired by the grading system of oysters  Petit, Moyen, Grand, Trés Grand  which led the Newmans to name their cigars Perla P, Perla M, Perla G, and Perla TG in keeping with the cigar band's harbor design. 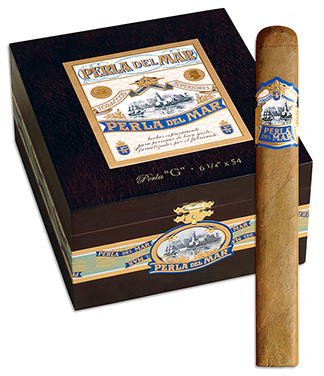 The original Perla del Mar (natural) cigars launched in 2012 and feature a silky Ecuadorian Connecticut wrapper and a diverse blend of Nicaraguan long filler tobaccos from four different regions ~ Pueblo Nuevo, La Reina, Condega, and Jalapa. 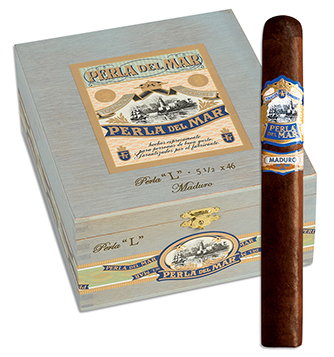 The unique combination allows the deep and balanced flavors of Perla del Mar to fully emerge, resulting in a smooth, creamy, and satisfying smoking experience with notes of caramel, woodiness, and spice. Perla del Mar Maduro cigars were added to the brand portfolio in 2016 in response to growing demand for a maduro counterpart to the successful original. The Maduro's glistening Connecticut Broadleaf Maduro wrapper covers Nicaraguan binder and long filler tobaccos, producing a mild to medium-bodied, smooth, rich, and creamy smoke with notes of cedar, mild spice, coffee, and dark chocolate.